Made by Martin Carlin, German (active Paris), c. 1730 - 1785. Plaques made by the Sèvres porcelain factory, Sèvres, France, 1756 - present. Plaques painted by Vincent Taillandier, French, 1736 - 1790, and by Jean-Baptiste Tandart, French, active 1754 - 1800. 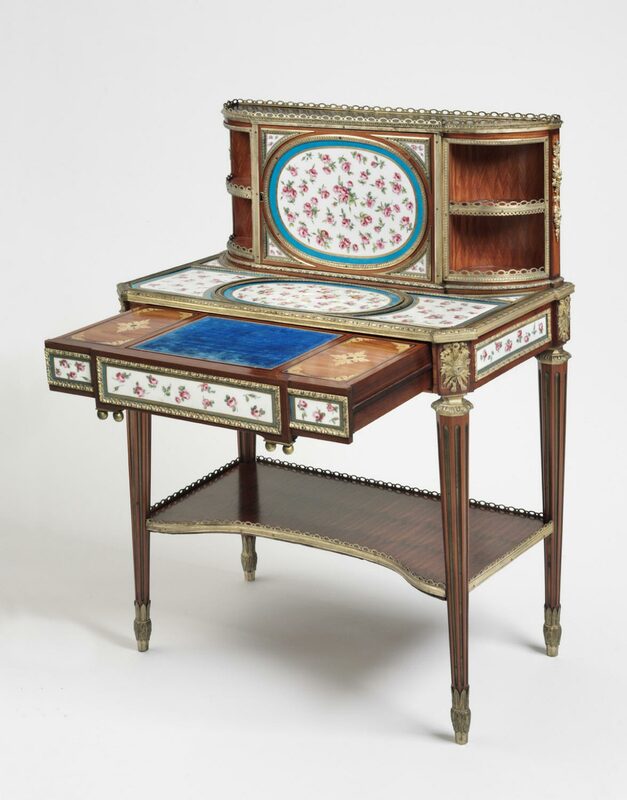 This writing table, or bonheur-du-jour (literally, "happiness of the day"), was made by Martin Carlin, a leading Parisian cabinetmakers of the second half of the eighteenth century. 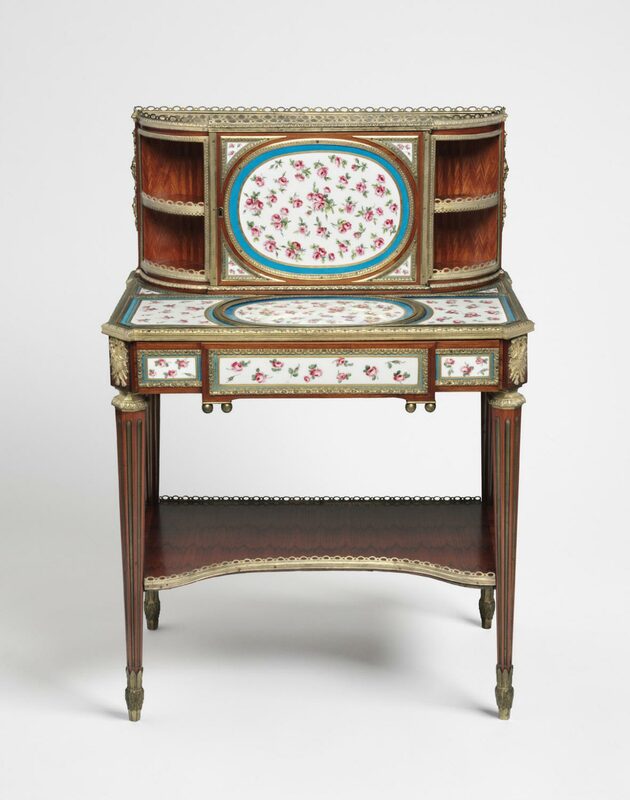 Working primarily on commissions from dealers rather than for individual clients, he made high-quality furniture such as this table, ornamented with exotic veneers and porcelain or lacquer plaques. The porcelain plaques seen here were made at Sèvres in 1776, and most are dated and signed by the factory's flower painters Jean-Baptiste Tandart and Vincent Taillandier. 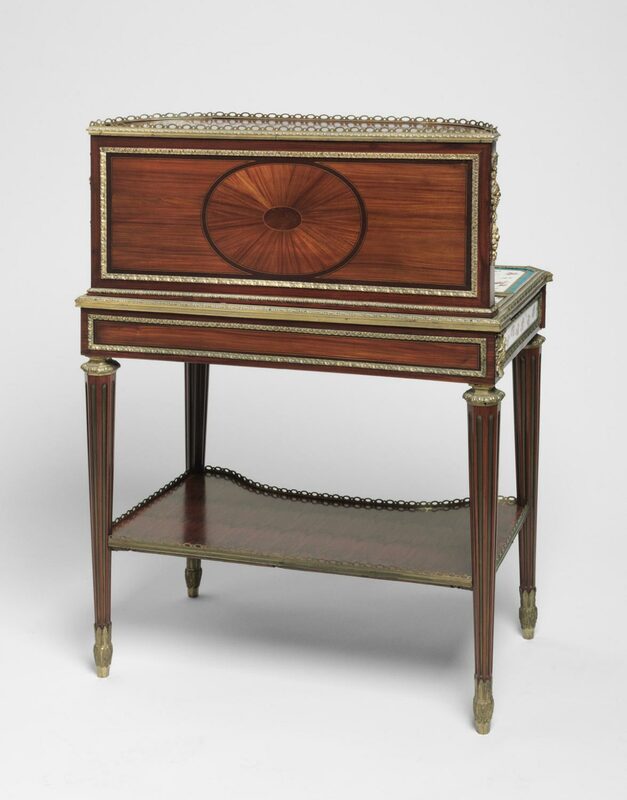 Bonheurs-du-jour are typically small scale, portable, and dual purpose, often serving as both writing and toiletry tables, with numerous drawers and compartments to hold the necessary tools. This table is fitted out as a desk with a hinged writing panel and compartments for ink and pens in the drawer. Julia H. M. Smith, from Philadelphia Museum of Art: Handbook of the Collections (1995), p.147.